The Annual Return including Annual Governance Statement, Annual Accounting Statement, Internal Audit Report, Statement of Variances and Bank Reconciliation for the year ended 31 March 2017 can be viewed here. 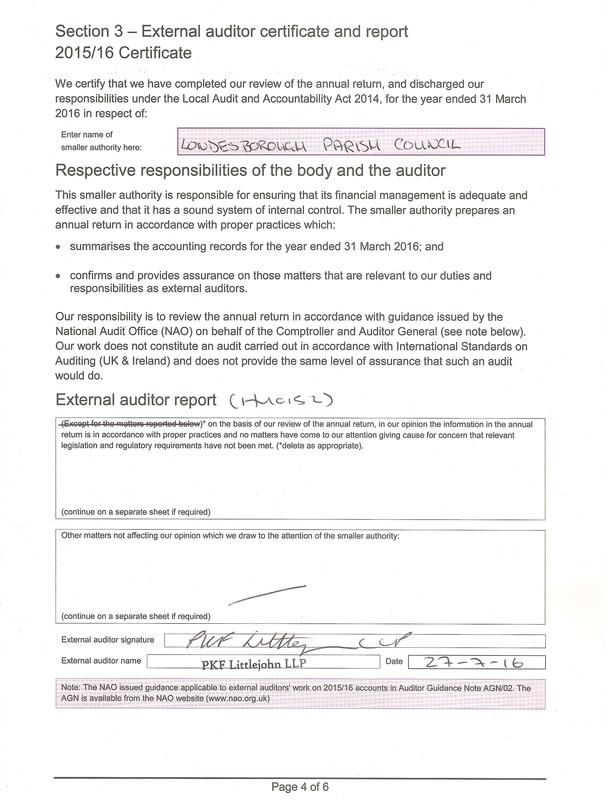 The External Auditor Report and Certificate for 2017 can be viewed here. 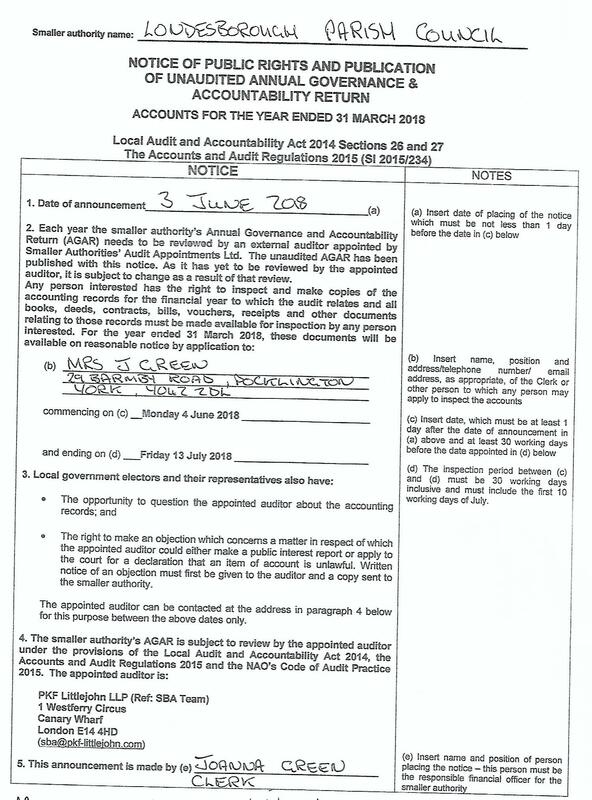 The Annual Return including Annual Governance Statement, Annual Accounting Statement, Internal Audit Report, Statement of Variances and Bank Reconciliation for the year ended 31 March 2016 can be viewed here.